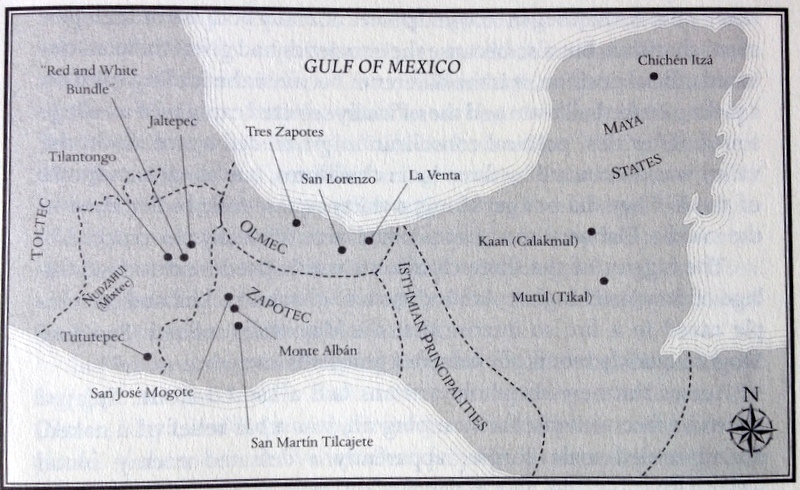 Charles C Mann’s book, 1491:New Revelations of the Americas Before Columbus, (2005) is a thoroughly researched, fluidly written overview and summary of anthropological, archaeological, paleo-climatological, not to mention palynological (pollen analysis) investigations of the pre-Columbian Americas (North, Center and South.) Mann has done an enormous amount of work (the bibliography alone is 58 pages); he has read voluminously, interviewed the cited authors and traveled with some of them to many of the places of interest. I learned much, and wish I liked the book even more than I do. Mann advances three inter related arguments which he calls Indian Demography, Indian Origins and Indian Ecology. More specifically, he says recent research (from the mid 1990s to the early 2000s) show that the pre-Columbian populations in the the Americas had a) arrived earlier than the previously pegged “Clovis” date of 13,500 years ago, and likely in at least three waves, b) they were more numerous in many areas than has been thought, and were often in disease-produced decline by the time of first actual face to face encounters with Europeans; c) they were more technically and culturally complex than had been thought, including in their own interactions with the natural world; they were not “Noble Savages” living lightly on the land but were early, practical land managers — with some errors in the mix of much success. The book began with the simple wish that ‘someone’ would write a book about the interesting ideas Mann was coming across in the 1990s, researchers wondering what the New World was like before European arrival, the possibilities that forests and jungles were not as pristine as long believed but showed millennial long interaction with humans. When ‘no one’ appeared to be the author, Mann began work — and one thing led to another. 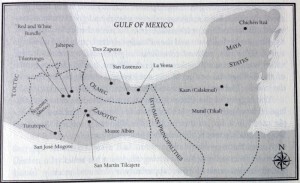 From the Algonquin alliances along the north-east shoulder of North America to the Tawantinsuyu in north-west South America, sweeping up mound builders along the Mississippi river, the Mexica Triple Alliance (aka Aztecs) in Mexico and Maya in the Yucatan he covers vast territories and peoples. And don’t forget the dike and weir builders of eastern Bolivia. That’s only the beginning. Add to this the explosion of tools and means for investigation in remote areas and times. Archaeology is no longer guided by educated guesses nor dependent solely on willing volunteers with shovels and trowels. 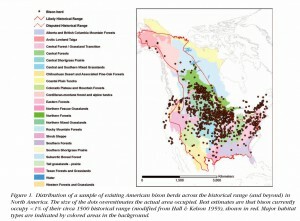 Now there is infra-red mapping, geo-physical surveys with multiple high-tech techniques unknown 40 years ago. Radiocarbon dating itself dates only from the 1950s and since then has had significant changes to its methods, costs and ease of use. DNA sequencing from human bones, maize kernels and coprolites has added biological detail undreamed of by Boas and his students. Linguistics has contributed glottochronology; even forensic dentistry is part of the mix. Data-bases and Internet access, departments of inter-related disciplines around the globe increase by factors of tens of tens the sources of information, interpretation and, of course, opinion. It’s a wonder anyone can gather even part of the offerings, much less make of them a reliable and coherent accounting and interpretation. We have such a person and such an account here. As it turns out the ‘new revelations’ of the sub-title is not quite accurate, which Mann himself admits in an afterward, after hearing complaints following the first edition. Of course, new to Jim is old hat to Jane and, it must be said that 2005, the publication date, is already 9 years away. The material on the Inka was less fresh to me, perhaps because of a recent trip to Peru with a knowledgeable guide. I try to keep up with the popular science press on the big mesoamerican cultures and have read my share of conquest histories so more than once in those passages I wondered, “This is new?” What was new, and will stick with me, are the recent (or less well publicized) findings of mounds built all across the North American middle, including some of substantial size. And the question of the maize itself is an intriguing, and much disputed puzzle. Virtually every other domesticated plant comes through a logic of human selection for size, taste and durability and re-planting in observed good soil. Maize “had no known wild ancestor, no way to propagate itself.” Big guns in the world of genetics have fired salvos at each other at least through the early 2000s as to how maize therefore came to be, though both sides agree “that modern maize was the outcome of a bold act of conscious biological manipulation, ‘arguably man’s first, and perhaps his greatest, feat of genetic engineering. '” More than 6,000 years ago — somewhere near Oaxaca. 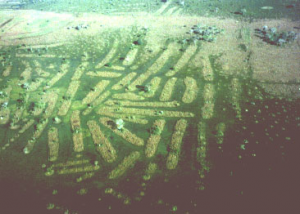 Similarly, the opening pages about the Beni region of Eastern Bolivia, near the Brazilian border, with its newly discovered jungle-surrounded plain with raised mounds, joined by dikes and evidence of seasonal flood plain fishing, is fascinating. The late chapters titled “Amazonia,” and “The Artificial Wilderness” are very very interesting. It is here that the postulate of extensive and long-lasting human management of ‘wilderness’ comes to its fullest fleshing out. The Amazon jungle, for example, wherever people lived, is lush with introduced and domesticated trees; orchards of peach palm, calabash and wild pineapple to name just a few. So, given the revelations and the deep reinforcement of fact and history I already knew, why could I have liked it better? Call it a mental attribute not unique to me. In difficult, and grand projects, my brain does best at analytic accumulation: here is block A, it fits beside block B and together they support block C. It does less well with mosaics of suggestion interrupted by segues into interesting side paths that don’t add to the main argument, then return me to wonder where the hook is I am meant to grasp. I would have preferred, for example, each great culture to be taken up in turn, [Block A, Block B] and the parallels, similarities and differences pointed to, locking each together in a chain of evidence or proof by analogy, rather than as Mann does, moving from one to another and back to the first, in a mosaic or tapestry — with tassels of quotes and personal experience fluttering and distracting. I would have grasped and integrated the evidence provided by journals of Las Casas, DeSoto, Pizarro, say, had they been used more structurally and less atmospherically. Of course, I am speaking for myself. Mann’s starting point is as a journalist. He is a writer writing about science (think John McPhee, David Quammen) not a scientist writing about his field (think Jared Diamond, Oliver Sacks.) For many, the writerly narrative is the best road into the thickets of discovery, distemper and possible truths; for me the narrative is sometimes distracting. When he writes ” The primary goal of Dawnland education was molding character. Men and women were expected to be brave, hardy, honest, and uncomplaining” I want to know how he knows, and does this advance the formidable task at hand. When he quotes anthropologist Kathleen J. Bragdon as saying “[Communities] were joining and splitting like quicksilver in a fluid pattern within its bounds,” I want to know how she knows. The problem is of course space and the mountains of material available. As his editor I would have excised or compressed some of the chattier parts about his own adventures and asked for finer details of the actual research. How does Bragdon know that communities were fluid and is her way of knowing applicable to other peoples and places? Do we have any emerging agreement about the best tools and best paradigms for understanding the past, and potentially, our cultures and behavior today? As a journalist he has a sense of even-handedness — here’s what the old-timers think (Clovis: 13,500 years ago!) and here’s what the new-comers think (Monte Verde, 30,000 years ago?) But it’s pretty clear Mann himself is in the new-comer’s camp though he doesn’t want to say so, right out. It seems unprofessional to him, I suppose, to set out the arguments of both sides, sum them up and cast his chip on the red, but I was left more than once, puzzled: what IS the most up to date thinking, based on what evidence, and if disputed, by what other evidence? In one long section he gives Betty Meggers, famed for her 1971 book Amazonia: Man and Culture in a Counterfeit Paradise, several pages to explicate her “law of environmental limitation of culture.” Given the poor soil conditions beneath the masses of jungle vegetation, slash-and-burn was a fine response to the conditions but no more than 1,000 could have lived in any one area at at time. He then gives space to Anna Roosevelt whose findings contradict such limitation; in fact she has found, using new gee-whiz technology such as ground-penetrating radar, that instead of a limited culture there was “one of the outstanding indigenous cultural achievements of the New World.” He then heads off to other researchers who have found in parts of the Amazon Basin a soil called terra preta, a charcoal enhanced earth that is as rich as river bottom stuff. Seems like the evidence is rolling in. But I don’t find an end-of-section summing it up, something like, ‘the preponderance of evidence now suggests that Megger’s theories, at least writ large, do not explain the conditions of these people at that time.’ Perhaps I am too simple minded but I flip the pages back and forth wondering, OK, what is the case here? What is the conclusion? Other times it seems editorial tightening would have helped, as when he writes that tens of thousands of mounds have been found around North America, then zeroes in on the oldest, around the Ouachita river in NE Louisiana. He says “None of the mounds in any of these places covers burials or contain artifacts,” yet a page later he says that those at Adena, Ohio served as tombs. The slipperiness of ‘any of these places’ is confusing. He might have said simply, “none of these early Ouchita mounds” for clarity. Later he quotes an archaeologist in 1997 saying there was no known reason for building them, though he himself says there are middens spread periodically up the structure, and speculates they may have been an adaptation of el-nino like events and rising and falling water. In any event, 1491:New Revelations of the Americas Before Columbus is a book for anyone with even a passing interest in any of the fields of investigation, archaeology, anthropology, climatology –did you know that mega-niños occur every 300 years or so?– and the newest technologies being brought to bear. It is THE book, for the moment, about what life was most likely like “before contact,” as it is said. The theories, and new evidence offered about the population numbers, much higher than believed only 40 years ago, and therefore about the millions who died from disease will bring no comfort to those who wish our present prosperity had not come at such a cost. Having finished, most readers will feel they have a scaffolding of understanding, and a vantage point from which to seek out what is sure to be on-going discoveries about the people, the lands and the ways of being in a world a thousand years ago. Not the least of our pleasures is to see not only the evidence but how it is gathered, often with great difficulty, assorted, presented, argued. We see from a slight distance, science going on, increasing the sum of knowledge even if by fits and starts, even if sometimes over seasoned with the salt of human discourse.